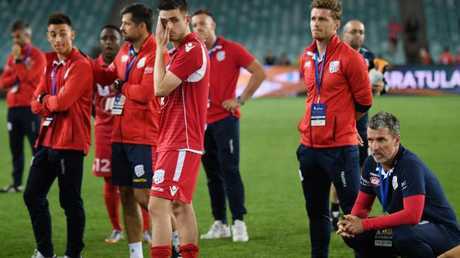 ADELAIDE United coach Marco Kurz said he and Michael Marrone apologised to the ball boy at the centre of an extra-time storm at the FFA Cup final on Tuesday. Marrone was expelled in the 116th minute for what appeared to be a push on the ball boy as Adelaide was chasing the game after Bobo scored the second goal for Sydney in a 2-1 win for the home side at Allianz Stadium. "I said after the game to the ball boy, 'I am sorry in this moment' and also to the dad,'' Kurz said after the clash in Sydney. "I will say it's not the character for Mickey (Marrone). "You know Mickey he is very down in the dressing room and I think he spoke with the boy. "It's not his nature and now I hope after the talked it (the ball boy ) was OK.
"From my side and also from the players' side we say sorry. "He is one of the most quietest persons I know in the sport." But Marrone may incur a hefty ban for what is understood to be the first Australian incident involving a ball boy in top-level soccer. Four years ago Chelsea's Eden Hazard was suspended for three games after he was sent off for kicking a ball boy during an English League Cup tie. The Belgian lost his cool after the ball boy refused to hand over the ball after it had gone out for a goal-kick. 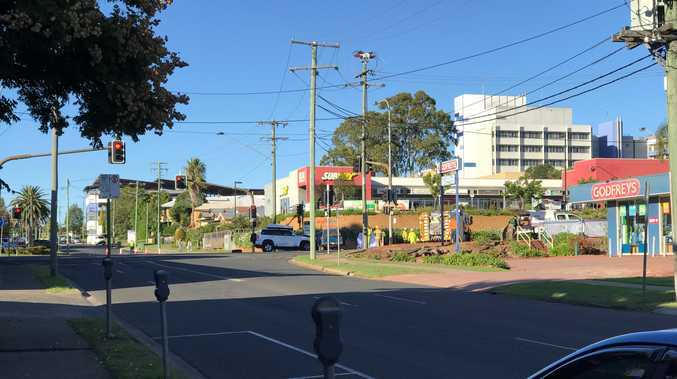 "I think the federation will hear Mickey and they will find a decision,'' Kurz said. Kurz also calmed Matt Simon's temper as the melee was on the verge of escalating as the ball boy appeared to be stunned during a push and shove after the ball boy incident. Sydney coach Graham Arnold said he didn't see the ball boy incident after Michael Zullo reportedly handed his winner's medal to the youngster after the clash. 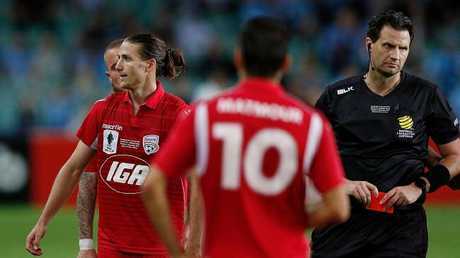 "I'm sure FFA will deal with it, I'm sure there's footage of it,'' Arnold said. Sydney's Adrian Mierzejewski claimed the Mark Viduka man-of-the-match medal after the Polish attacker was outstanding throughout the 120 minutes, getting involved in Bobo's winning extra time goal.